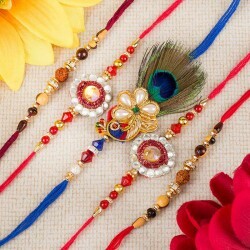 Raksha Bandhan is a special day to celebrate the bittersweet relationship of a sister and a brother. 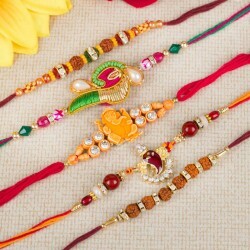 With us, you get to send Raksha Bandhan gifts anywhere in India from our eclectic rakhi collection. 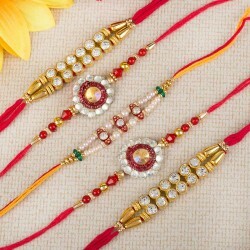 Explore the various rakhi threads and gifts for the auspicious occasion of Rakhi send them online. 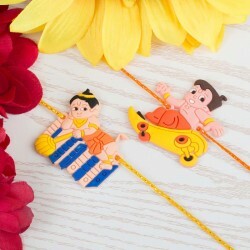 Raksha Bandhan is the time when we love to shower our Brothers and Sisters with all the love that we have. This year, don't just show up with a Rakhi or a box of sweets, celebrate this festival in style. Well, don't worry, we are not asking you to get up from your place and rush to the market to find that perfect surprise. You can easily do that while enjoying the comfort of your home. MyFlowerTree, on the special occasion of Raksha Bandhan, brings to you their RAKHI COLLECTION that includes the best of everything. Gift Hampers including Chocolates, Cakes, Assorted Gifts, Geeting Cards and Dry Fruits to the most amazing Rakhis made with Pearls, Kundan, Zardosi and Meenakari, this collection is the best that you can find. BUY RAKSHA BANDHAN GIFT HAMPER FROM OUR RAKHI COLLECTION and surprise your childhood partners in crime. 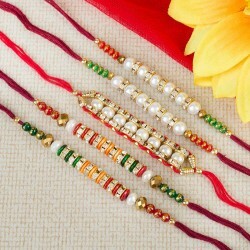 SEND RAKHI GIFT TO YOUR BROTHERS AND SISTERS no matter where they are. With our ONLINE DELIVERY service, no distance is too far. Just select anything from our collection that you think will suit the taste of your Brother and Sister and we will deliver your package to their doorstep with warm smiles. With us, surprising someone you love is pretty easy. Apart from the flawless ONLINE DELIVERY, we excel in providing the best Customer Care Service. Our staff is available to guide every shopper 24*7. You can chat with us or call us directly in case you have any doubts. Our delivery options include same day delivery, mid-night delivery and scheduled delivery as well. You can get in touch with us if you want to personalise any of the products. We assure you that your experience as an online shopper will be always pleasant with us. Products in this category have been rated 4.9 out of 5 based on 132 reviews.